Antoni Clavé was born in Barcelona in 1913. At 13 years of age, and seeking employment, he is hired as an assistant in a textile shop for girdles and corsets. At the same time, he signs up for evening classes at the annex to the Escuela de Artes y Oficios Artísticos y Bellas Artes. As an apprentice house painter with Tolosa, he is attracted by the manual aspect of the work (distemper, primer, glues, and later the mixing of colors). The young Clavé learns to handle a brush, to draw, the techniques of lettering, and faux wood amongst others. In 1932, upon winning the second place prize in a poster competition organized by the Caisse d’Epargne of Barcelona, Antoni Clavé decides to leave his job as a house painter. He is hired by Cinaes (Cinematografica Nacional Española) to produce film posters on the façades of three Barcelona cinemas: Catalunya, Capitol and Femina. He manages to earn a living with work in advertising and decoration where he exploits avant-garde experimentation: collages with various material, rope, printed textiles, wavy cardboard, and newspaper. In 1936, the Spanish War broke out. Antoni Clavé is a breadwinner – his mother, a hemiplegic mother, has been in his care since 1930. He was mobilized in 1937 and left for the Aragon front. His friend Joaquim Martí Bas succeeded in getting him to join the 31st Division Headquarters, where both had the task of producing posters to galvanize the fighters. On 26 January 1939, Barcelona fell into the hands of the Francoist army. The Catalan population fled the bombardments and crossed the French border. Antoni Clavé arrived in France on January 29. He is first held at Prats de Molló, then at Perpignan at the Haras internment camp. He is freed shortly after and exhibits the drawings made in the camp, gouaches and several pencil portraits in Perpignan. 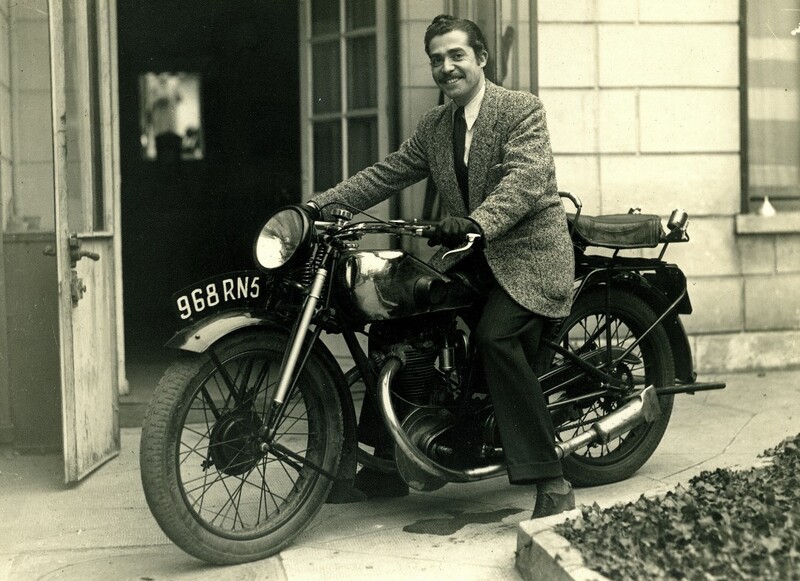 On April 5th, Clavé arrives in Paris without any ID papers and with the few francs from his exhibition in Perpignan. He manages to eek out a living on illustrations, among other things for the editions “Nouvelle Librairie Moderne” for which he draws comics for the periodicals Gavroche, Aventure and Jumbo. He met Picasso through Spanish painters who were also exiled in Paris. In April 1940, there is an exhibition at the « Au Sans Pareil » bookstore which is not very successful. In June, the Germans are at Paris’ gates. Clavé intends to leave Paris to make his way to Venezuela but the German tanks have already cut off the roadways and he is obliged to turn back. In 1941, Clavé moves into his first atelier at number 45, rue Boissonnade. His son Jacques is born in 1942 and his own mother moves to Paris. This is an intimate and introspective period for his work where he is influenced by Bonnard and Vuillard. The following year he produces the lithographs as illustrations for Lettres d’Espagne by Prosper Mérimée. Antoni Clavé then fully integrated the social and artistic activities of the “École espagnole de Paris” led by Picasso. The latter became interested in his work and came to Antoni Clavé’s exhibition in June 1944 at the Henri Joly Gallery, a promising sign of a long and sincere friendship. Freed from the dangers of the Occupation, Antoni Clavé participates in a series of group exhibitions in Paris, the provinces and abroad. Among these events, the exhibition “Art of the Spanish Republic, School of Artists of Paris” initiated by Picasso, Paul Éluard and Jean Cassou. 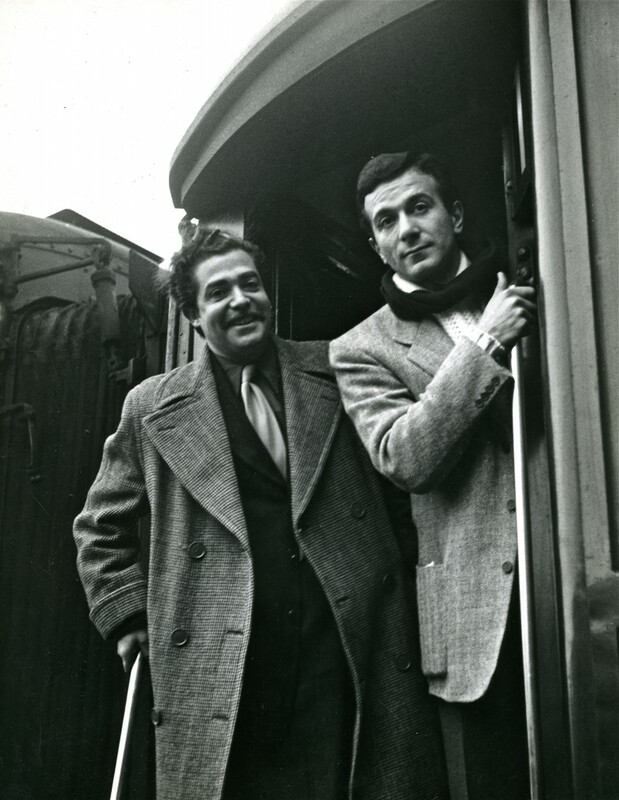 It takes place in Prague in 1946, where he and his exiled comrades, including Borès, Viñes, Peinado, Dominguez, Florès, Lobo and Fenosa, travell to Prague. The group exhibitions does not yet allow him to make a living from his painting. He begins work on major set decoration and costumes for the ballet: Los Caprichos for the Ballets des Champs-Elysées (Paris, 1946), Carmen for the Ballets de Paris Roland Petit (Paris, 1949) and Ballabile for Sadler’s Welles Ballet (Covent Garden, London, 1950). His work is also to be found in many illustrated books: La Dame de Pique by Pouchkine and Carmen by Prosper Mérimée in 1946; Voltaire’s Candide in 1948; Gargantua by Rabelais in 1950. This work inspires new subjects and series: The King of Cards, Figures of the Middle Ages and Warriors. Many exhibitions follow: at the Galerie Delpierre in Paris in 1946, at the Anglo-French Art Centre of London in 1947, in 1948 at the Galerie Robert Martin in Oran, Algeria, at Malmö in 1949 and Göteborg, Sweden in 1950. In 1951, he exhibits at the Galerie Witcomb in Buenos Aires, and in Rome at the Galleria dell’Obelisco, followed by the Galerie Drouant-David in Paris in 1953, at the Galleria del Sole in Milan in 1954. His creations for the theatre are an essential part of his work at this time: La maison de Bernarda Alba by Federico Garcia Lorca, Festival de Biarritz and the Théâtre de l’Œuvre, Paris, 1951; Revenge, Ballet by Ruth Page, Chicago Opera Ballet, 1951; Don Perlimplin, by Federico García Lorca, Festival du XXe siècle, Paris, 1952 ; Les Noces de Figaro, by Mozart, Festival d’Aix-en-Provence, 1952 ; Deuil en 24 heures, Ballets de Roland Petit, Paris, 1953. 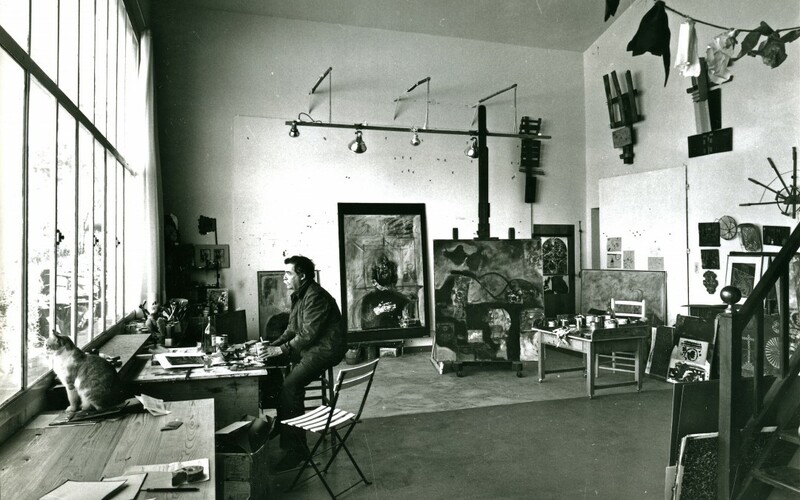 In 1954, Clavé decides to abandon theatre design in order to devote himself to his painting. His final decorative work will be for the set and costumes for La Peur, a ballet by Roland Petit. The Arthus Tooth & Sons gallery presents a monographic exhibition in 1955 in London. Antoni Clavé received the UNESCO Prize for Engraving at the XXVIII Venice Biennale in 1956 and the Sala Gaspar in Barcelona exhibited his paintings for the first time. The first tapestry paintings are executed in 1957. Jean Cassou signs the catalogue of his exhibition at Galerie Beyeler in Basel. The same year he also exhibited at the Museo de bellas artes de Bilbao and at the Stephen Silagy Gallery in Los Angeles. He represents France at the 4th Biennale of Sao Paulo where he receives the Matarazzo Prize for painting with Ben Nicholson for Great Britain and Giorgio Morandi for Italy. 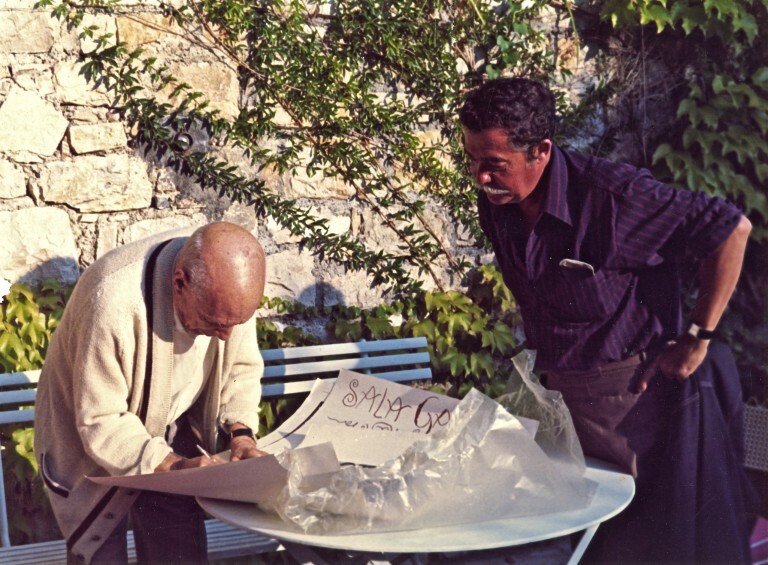 The Galerie Creuzevault organizes his first major exhibition in 1958 in Paris. He is awarded the Kamakura prize at the Print Biennial in Tokyo, while the Arthus Tooth & Sons Gallery in London exhibited it again. He exhibited at the Picasso Museum in Antibes, and in 1960, again at the Creuzevault Gallery and then at the Sala Gaspar in Barcelona, which brought together a collection of works from 1953 to 1959. In 1961, the Rath Museum in Geneva presents the exhibition, « 25 Ans de Peinture ». In 1963, Clavé executes several tapestry-assemblages that are shown the following year at the Museo de bellas artes de Bilbao. He undertakes a series of large-scale canvases, accompanied by both lithographs and etchings; all based on the theme Hommage à Domenikos Théotokopoulos. In 1965, Clavé moves to the South of France. The Sala Gaspar in Barcelona exhibits the works of Hommage à Domenikos Théotokopoulos. In the following years, the number of exhibitions multiply: Galerie Creuzevault, Paris, 1968; Gallery Chozo Yoshii, Tokyo, 1969, Sala Gaspar, Barcelona, 1970, Galerie Vision Nouvelle, Paris, 1971, Palais de la Méditerranée, Nice, 1971. In 1972, he exhibits at the Galerie Dreiseitel in Cologne, and at Sala Gaspar. The Mainchini daily newspaper organizes an important exhibition of his works at the Matsuzakaya gallery in Tokyo. Clavé travels to Japan, stopping on his return journey to Paris in New York where he discovers the graffiti of the street and the subway that would inspire his painting. In 1975, Clavé undertakes a series of engravings illustrating La Gloire des Rois of Saint-John Perse ; it is at this time that he also begins working on trompe l’œil with creased paper. He exhibits at the Galeria Guereta in Madrid, at the Galerie Sapone in Nice, and again at Sala Gaspar. In 1977, the engravings for La Gloire des Rois are shown at the Galerie Sagot Le Garrec in Paris and at La Palette in Toulon; the trompe l’œil of creased paper are exhibited for the first time at Sala Gaspar. In 1978, at Paris’ Musée National d’Art Moderne Centre Georges Pompidou, Alain Mousseigne presents the work of Clavé with the exhibition « En marge de la peinture »; at the same time as the Musée d’Art Moderne de la Ville de Paris exhibits a complete retrospective of paintings from 1958 to 1978. The following year, the Musée d’Unterlinden in Colmar exhibits a selection of the artist’s works from the years 1958 to 1978. The 1980’s are the years of recognition for Antoni Clavé in his native land where numerous exhibitions are held: at the Institut del Teatre of Barcelona in 1980, at the Bibliotaca Nacional of Madrid; « L’Œuvre graphique » is the subject of an itinerant exhibition organized by the Departament de Cultura de la Generalitat de Catalunya, the Museo de Bellas Artes of Valence and Sala Luzán in Saragosse. In 1981, the Musée des Augustinans of Toulouse held an exhibition of Clavé’s paintings from 1939 onwards. At the Paris FIAC (Foire Internationale d’Art Contemporain) of 1982, Sala Gaspar shows a group of paintings and sculptures by Clavé whose graphic work could be found on the walls of the Centre d’Etudes Catalanes. That same year, Clavé produces a 9 x 3 meter mural for the Barajas airport in Madrid. The sketches and models for the mural were exhibited at Sala Gaspar, as well as paintings and sculpture at the Galerie Sapone in Nice. In 1984, the Spanish pavilion of the Venice Biennial is devoted to Clavé: 125 works, paintings, sculptures, maquettes and theatre costume projects, tracing the essential of his œuvre, completing the 150 lithographs and prints/engravings at the Museo de Arte Contemporáneo in Madrid. In 1985, Clavé pays homage to Picasso with « À Don Pablo », an exhibition of 13 paintings and collages shown at the gallery Regards in Paris; this same exhibition was later presented at the Musée Picasso in Antibes, and the following year at Sala Gaspar. His paintings, sculptures and objects are exhibited at the Musée Rigaud in Perpignan, while the large formats were hung in the chapel of the Château royal in Collioure. Clavé returned to Japan in 1986 for the four exhibitions of works from 1960 to 1985 that were being held at the Metropolitan Teien Art Museum, Tokyo; Museum of Art, Osaka ; Musée Kiyoharu Shirakaba, Yamanashi-Ken ; Open Air Museum, Hakone. In 1988 the Galerie Patrice Trigano shows Clavé’s « tableaux-jouets », at the Paris FIAC. In 1989, the sculptures by Clavé are shown at the Palau de la Virreina in Barcelona. In Paris, the Yoshii, Marbeau and Trigano galleries were all showing recent work. In October of that year, Clavé travels to New York, a voyage that will once again inspire new paintings. En 1990, the monumental (14 meters high) sculpture commissioned by Barcelona’s city council to commemorate the Universal Exhibition of 1888 was installed in the Parc de la Ciutadella. The works inspired by Clavé’s trip to America are presented in an exhibition titled « Vu à New York » at the Basel Art Fair and in Paris by Patrice Trigano. At the same time the Galerie Marbeau held an exhibition of sculptures and objects. L’IRCAM was showing « Convergences Clavé-Boulez ». In the years to follow, exhibitions of Clavé’s work in Europe multiplied: a retrospective was held at the Museo Nacional de Bellas Artes de Santiago in Chili in 1992, an exhibition at the Palau de la Virreina in Barcelona the year after that, Galería Maggiore in Bologne in 1995; Galerie Chozo Yoshii in Paris in 1995; Galería Joan Gaspar in Barcelona in 1995, the Elyseum gallery in New York, and Palau de la Generalitat de Catalunya that same year. Galerie Chozo Yoshii in Paris held another show in 1996, La Pedrera, Caixa de Catalunya also had Clavé shows in 1996 as well as the Galerie Sapone à Nice in 1997. There were many major retrospectives held as well: at the Galería Joan Gaspar, Barcelona in 1998; Centre d’Art Santa Mónica, Barcelona ; Centre d’Etudes Catalanes, Paris ; Museu d’Art Modern, Tarragona, 1998 ; Centro Cultural del Conde Duque in Madrid in 1999, and Galleria San Carlo, Milan also in 1999. In 2001, to coincide with the publication of the book by Pierre Daix « Clavé, Assemblages 1960-1999 », a retrospective exhibition of painting, sculpture and prints was held in Locarno. The gallery of Joan Gaspar presented the show « Dix Ans de Peinture, 1993-2003 » in Barcelona in 2003 and in Madrid in 2004. On the occasion of Clavé being awarded the Tomàs Francisco Prieto prize, a retrospective of the artist ‘s graphic work was organized at the Musée Casa de la Moneda à Madrid. In 2005 the Galerie Chozo Yoshii exhibited the final large-scale paintings, first in Tokyo and then in Paris. Antoni Clavé dies at the age of 92 on the 31st of August 2005 in Saint-Tropez. After the artist’s death, the Fondation Fernet-Branca in Saint-Louis in 2006 and the Galerie Beyeler in Basel in 2008 were the first to hold major retrospectives. 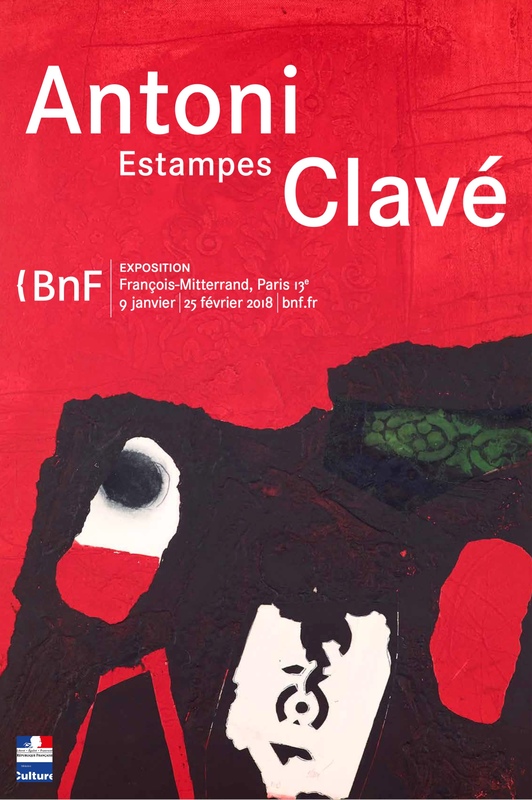 Clavé’s work was presented in thematic or historical exhibitions such as those from 2011: Objets Surréalistes in Frankfort at the Schirn Kunsthalle and Collection Planque in Aix en Provence. The first building entirely devoted to the artist’s oeuvre was designed by Tadao Ando and inaugurated in Yamanashi, near Tokyo in March 2011. The place is a symbol of the unique connection, begun in the 1960’s, between Japan and Antoni Clavé. In 2012, a monographic exhibition devoted to Clavé was held in Toulon at the Hôtel des Arts. In 2013, Barcelona, the city where Antoni Clavé was born, organized a series of festivities on the occasion of the artist’s birthday centennial, while Saint-Tropez presented the artist’s monumental sculptures throughout the town during the summer season. The exhibition « Antoni Clavé – Un Espagnol à Paris » is being held this year from 7 February to 3 May at the Kunstmuseum Pablo Picasso in Münster. In 2015, the œuvre of Antoni Clavé returns to Venice to participate in the 56th Biennial with an exhibition from 5 May to 31 October. In 2016, Antoni Clavé’s new exhibition is on display at the Espace Paul Rebeyrolle in Eymoutiers (87) from 19 June to 27 November. of reference of Roger Passeron (1977) and the Sala Gaspar (1984) with the addition of rediscovered, hitherto unpublished works, Clavé’s last prints and rare books illustrated by the artist. It is intended as a definitive tool for collectors and throws new light on the overall approach of a singular artist who found in printmaking a crucial complement to painting and sculpture. 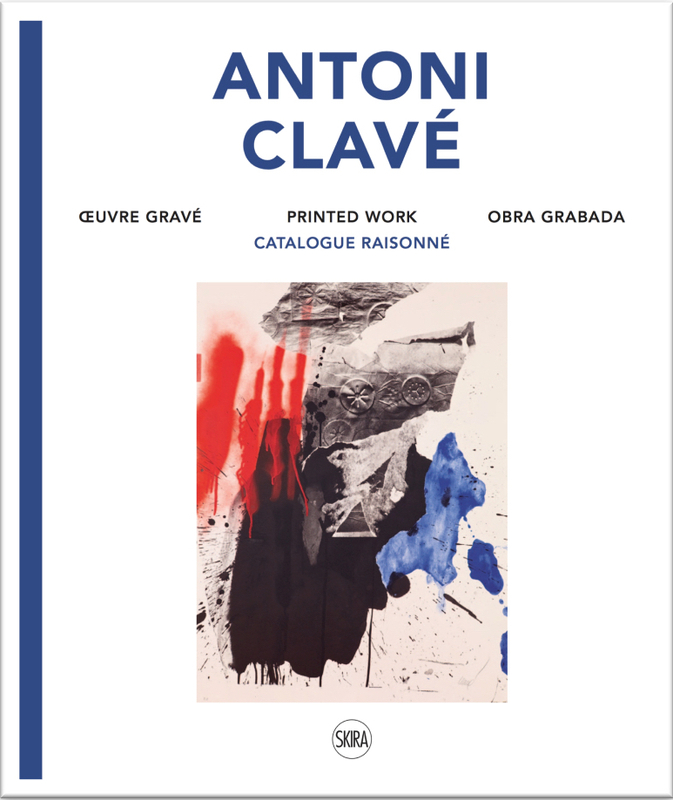 In January 2018 opened an exhibition of Antoni Clavé’s printed works at the Bibliothèque nationale de France (François Mitterrand Library). In 2018 Antoni Clavé’s work can be seen in several group exhibitions: at the Juan March Foundation in Madrid: El principio Asia: China, Japón e India y el arte contemporáneo en España (8 March – 24 June) then in the framework of “Picasso Méditerranée” at the Musée de Vence: Picasso et les Contemporaries – Éloge de la fabrique (23 June – 28 October). The Kunstmuseum Basel presents a focus on the works of Antoni Clavé, part of the Im Obersteg Foundation, whose collection is on deposit at the Kunstmuseum (05 September 2018 – 3 February 2019).